The Cave Rock launch is open and clear, that being said you need to watch out for "Ice Build Up " first thing in the morning on the boat ramp from folks not draining the trailer before pulling out all the way. 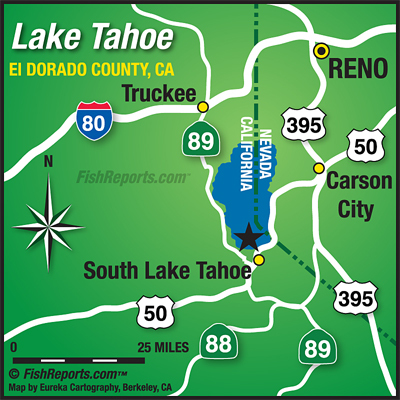 Trout fishing has very good to awesome on Lake Tahoe at the north shore, Cal Neva Point, Tahoe City Shelf, and over by Homewood Bay. We have been using down riggers with custom chrome and white dodgers trailing minnows at slow speeds close to the bottom and bouncing it on occasion to create sediment cloud and bite activation. Also 4 inch Flat Fish in white and chrome have provided some large fish. The north shore points are heavily loaded with mature fat lake trout, as we have taken alot of limits of 2 to 15 pound Lake Trout that are stuffed with shrimp and crawdads. Shore anglers and small boats have been occasionally hooking into shore cruising rainbows and hard fighting German Browns. Small dodgers with minnows or threaded worms can be deadly at times for the boaters. 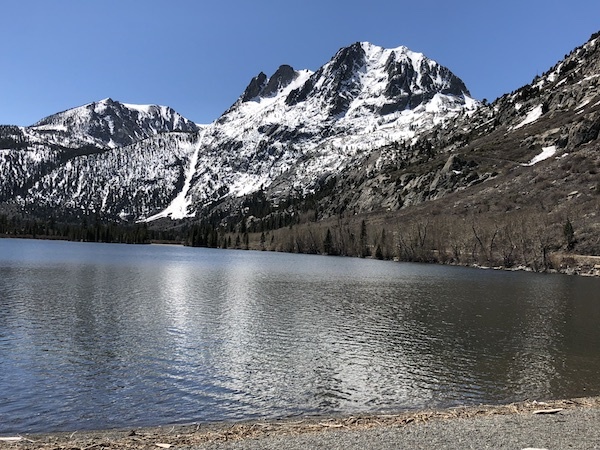 Also smaller stick baits in rainbow or black and silver with new 8 to 10 pound line can get amazing results for patient trollers on the clear waters of Lake Tahoe. Shore fisherman can get away with 6 to 8 pound test, and then they best have a long handled net. Remember that the Cave Rock Boat Ramp Gate and Lake Forrest Ramp Gate hours of operation are 6 to 4 Daily . For more information call Gene St Denis at Blue Ribbon Fishing Charters (530) 544-6552 for a memorable experience. Good luck on your next fishing adventure. If you have a question or a report in our local fishing area, call the Naw line at 775-267-9722. If you have a photo of your catch, send it to nevada@fishreports.com. Hope to see you on the waters. Good fishin' and tight lines.